When setting up a social enterprise one of the first things you need to consider is the legal structure through which you will operate. The legal structure will dictate fundamental aspects of how your organisation will function as well as setting out your legal obligations and responsibilities. There are a number of potential options, from a commercial limited company at one end of the spectrum, to a purely charitable trust at the other end. The option you choose will dictate whether the directors or trustees are protected (limited liability), whether you can distribute profits (dividends), how you can raise finance, whether you pay tax, who you are regulated by, and whether you can achieve charitable status. There are advantages and disadvantages to all options. Thought needs to be given to the present and future requirements of your social enterprise to ensure the most suitable structure is chosen. 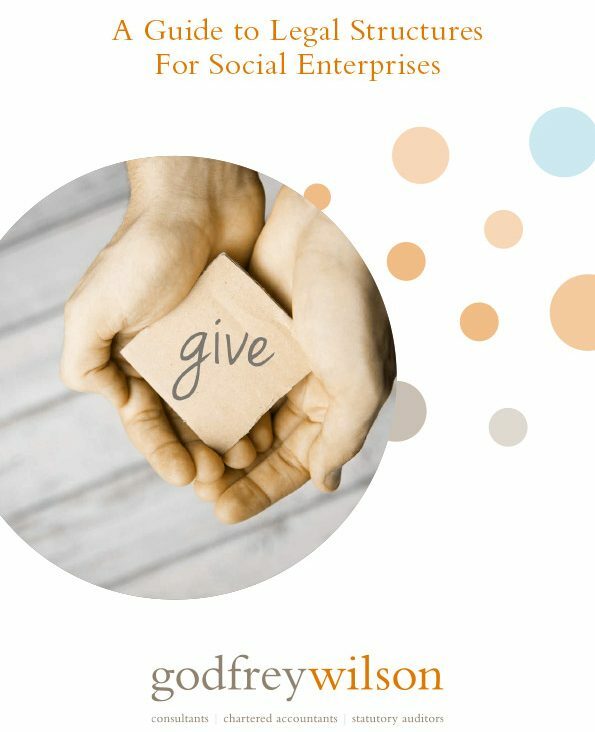 This guide introduces the different structures available to a social enterprise and includes a table which summarises the key points of each. A company limited by shares is an incorporated organisation set up by shareholders. The shareholders are protected by limited liability, which means their liability to the company’s creditors is limited to the share capital they originally invested. The shareholders appoint a board of directors to manage the company. This is the legal form usually adopted by commercial businesses and it can be either publicly (plc) or privately (ltd) owned. It can raise finance to fund its activities through debt finance (loans) or through equity by issuing shares. A company limited by shares has no restrictions on trading or the distribution of profits. A company limited by shares is not generally eligible for charitable status. In very rare cases, charitable status may be granted to a company limited by shares provided the shares have no right to receive a dividend or other distribution attached to them. The Department for Business, Energy and Industrial Strategy regulates all companies limited by shares. Financial statements and an annual confirmation statement must be filed with Companies House each year. A company limited by guarantee is an incorporated organisation set up by members. Members act as guarantors by undertaking to contribute a nominal amount towards the winding up of the company upon cessation of the business. This is the legal form usually adopted by not-for-profit organisations who want the protection of limited liability but without equity finance. A company limited by guarantee has no restrictions on trading. The distribution of profits may be permitted if a clause is included in the Memorandum and Articles of Association. The Department for Business, Energy and Industrial Strategy regulates all companies limited by guarantee. Financial statements and an annual confirmation statement must be filed with Companies House each year. A community interest company can be either a company limited by shares or a company limited by guarantee. It differs from a standard company because it must have the specific aim of providing benefit to a community. Community interest companies are subject to an asset lock which protects the use of the company’s assets and caps the amount of dividends that can be paid to shareholders or members. On dissolution the assets must be transferred to another community interest company or a charity. There are no trading restrictions for a community interest company. It is not eligible for charitable status. A community interest company has the same reporting requirements as a company limited by shares or guarantee. In addition to this it has to deliver an annual community interest company report on its activities. This is the legal form usually adopted by social enterprises whose aims are social or environmental as well as financial. A community benefit society is an incorporated organisation set up by members or shareholders. Members are accorded democratic rights on a one member, one vote basis. Liability is limited to the share capital originally invested or the members’ guarantee amount. This is the legal form adopted by organisations working to a co-operative model trading for the benefit of the wider community. Members may not receive preferential treatment. A community benefit society can register with the Financial Conduct Authority (FCA) as a charitable community benefit society provided its aims are legally charitable. This means the society can call itself a charity and may (if registered with HMRC) enjoy some of the tax reliefs available to charities, though it is not regulated by the Charity Commission. Community benefit societies may not distribute profits to members. Interest on share capital can be paid to members subject to a maximum rate. Community benefit societies have to submit accounts and an annual return to the Financial Conduct Authority (FCA) each year. A co-operative society is an incorporated organisation set up by members or shareholders. The members or shareholders appoint directors to govern the organisation. Liability is limited to the share capital originally invested. Co-operative societies are similar to Community Benefit Societies but these organisations work for the benefit of its own members, rather than the wider community. As such, co-operative societies are not charitable. Unlike Community Benefit Societies, a co-operative society may distribute profits to its members, provided this is not the primary purpose of the organisation. Co-operative societies have to submit accounts and an annual return to the Financial Conduct Authority (FCA) each year. A charitable company is an incorporated body (a company limited by guarantee) that also has registered charity status. The company directors are also the trustees of the charity, and are protected by limited liability. A charitable company falls under the jurisdiction of both company and charity law. Charitable companies are subject to limitations on trading, although they can set up a trading subsidiary to undertake trading activities (subject to certain restrictions). Charitable companies are not permitted to distribute profits, and on dissolution the assets must be transferred to another charity. Charitable companies must report to both Companies House and the Charity Commission. Financial statements and an annual return or confirmation statement must be filed with both authorities each year. A charitable trust is an unincorporated body and does not have a separate legal identity. This means that the trustees of the charitable trust are not protected by limited liability, and instead are personally liable. This is the legal structure usually adopted by smaller grant giving charities that do not have any members. Charities are subject to limitations on trading, although they can set up a trading subsidiary to undertake trading activities (subject to certain restrictions). Charities are not permitted to distribute profits, and on dissolution the assets must be transferred to another charity. Charities are regulated by the Charity Commission. Financial statements and an annual return must be filed with the Charity Commission each year. A charitable incorporated organisation is an incorporated registered charity. A CIO has the advantages of limited liability and a separate legal identity, but without the burden of having to register with Companies House as well as the Charity Commission. The CIO is governed by a board of trustees. Trustees are protected by limited liability. CIO’s are subject to limitations on trading, although they can set up a trading subsidiary to undertake trading activities (subject to certain restrictions). CIO’s are not permitted to distribute profits, and on dissolution the assets must be transferred to another charity. CIOs are regulated by the Charity Commission and fall under the jurisdiction of charity law. Financial statements and an annual return must be filed with the Charity Commission each year. The charitable company’s registration ceases at Companies House and the company simply becomes a CIO. This can happen at any point in the financial year. The CIO is then solely subject to Charities Act reporting requirements. The CIO maintains the same charity registration number. The process for converting a charitable trust to a CIO is more complicated. The old trust transfers its assets to the newly registered CIO and prepares cessation accounts. All contracts (including employment contracts), debts and assets must be transferred. The charitable trust can then be removed from the register of charities. It is most convenient if this transfer takes place at the financial year end. The new CIO, with a new charity number, receives the assets as a donation. Charitable trusts opting for this conversion should obtain professional advice before undertaking any changes. In some cases, the trustees may need to seek Charity Commission approval before transferring assets. iv) apply for charitable status. The CIC’s registration at Companies House will then be cancelled. The CIO is then subject to Charities Act reporting requirements. As with charitable trust conversion, the trustees should seek professional advice with regards to the transfer of contracts, debts and assets. An unincorporated association is a structure generally adopted by very small organisations that are run for a community or social purpose, e.g. a voluntary group or a sports club. They are not intended to generate profits. Unincorporated associations do not have a separate legal identity. They are not registered with Companies House, the Charity Commission or the FCA. The individual members of the group are personally liable for all debts and contractual obligations. Unincorporated associations are run by members and are governed by their constitution which sets out the rules under which the association will run. If the unincorporated association does make trading profits, it must register with HMRC and complete a corporation tax return. There are many different legal structures to consider when setting up a social enterprise. Consideration of how the organisation will be funded, whether the organisation will be charitable and what level of voting rights and liability the members are willing to accept will all factor in the decision. It is also important to develop a strategic plan for the future to ensure that the legal structure is suitable for now and in the future. This includes giving careful thought to governance, reporting and funding requirements. For example, developing an appropriate structure to manage conflicts of interest, considering how complex the accounting and record-keeping requirements are, and how funding will be generated and sustained in the longer term. There are some conversion options available to established charitable trusts, charitable companies and CICs that may simplify an organisation’s affairs. In all cases professional advice should be sought from an accountant or solicitor before setting up a social enterprise. Godfrey Wilson Ltd is a company registered in England.